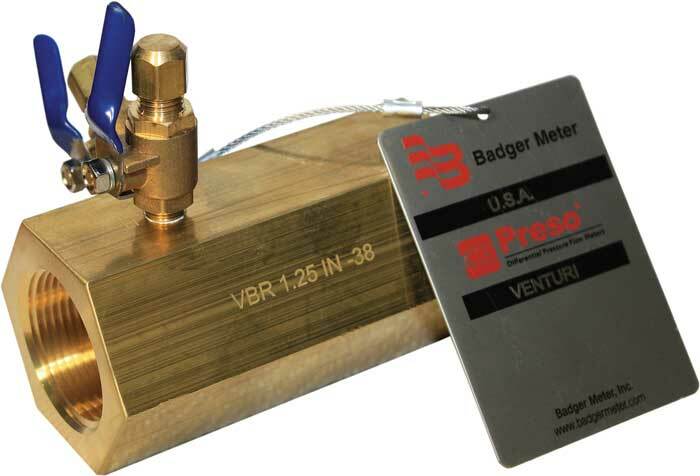 Model V-Brass Series is a Venturi style flow meter of the “Low Pressure Loss” design. It is machined according to exacting specifications using high quality materials. This unit is produced from solid brass hex bar and comes with NPT or sweat ends. The V-Brass is available in four throat sizes to cover a wide range of applications. 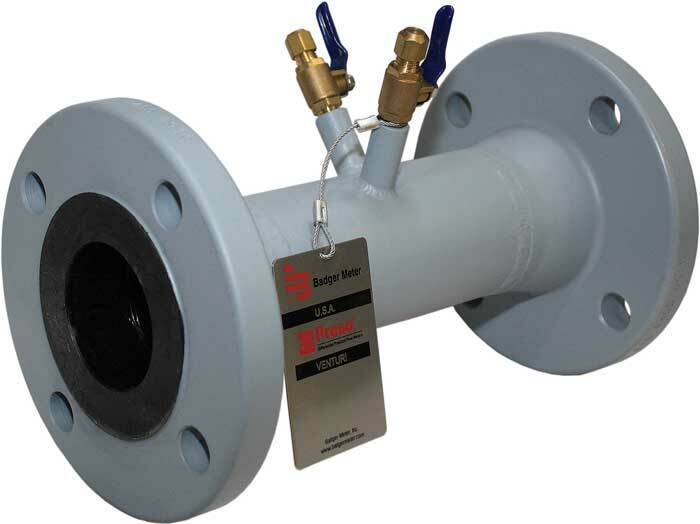 It is assembled with brass ball valves for instrumentation control and lends itself to easy installation to provide a cost effective means of measuring flow in commercial applications.